My kids really loved Star Wars Lego: The Empire Strikes Out on DVD. I watched along with them and it was tremendously funny! It is based loosely on Star Wars Episode V: The Empire Strikes Back, although it was a parody on the original--and acted by Star Wars Lego minifigures. 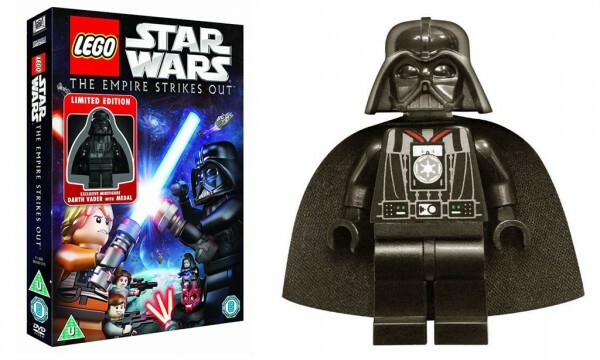 The box comes with an exclusive minifigure: Darth Vader with medal around his neck. The box reads for ages 6+, and it should be noted that the toy is a choke hazard for children under 3-years old, as it contains little pieces. 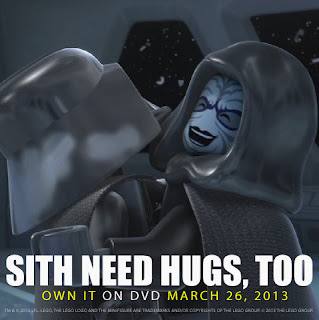 I think that fans of Star Wars or Star Wars Lego would enjoy adding this title to their DVD movie library. I liked that the DVD came with the Darth Vader minifigure, as my son loved it and played with it during the movie and still plays with it today. I think that it added to the film's excitement for him. My only criticism of this film was that it was very short with a running time of 22 minutes. Even my kids commented on the movie's length. Generally my expectation for a child's film is at least 60 minutes, with 90 minutes to 2 hours being the usual length. However, the film was enjoyed and we will definitely watch it again. Star Wars Lego: The Empire Strikes Out was just released on DVD March 26th from Lucasfilm. Available in stores everywhere! Do you or anyone in your family like Star Wars or Star Wars Lego? Who is your favourite Star Wars character? My son is a little young for Star Wars still but I'm sure it's something he'll enjoy when he's a little bit older. Jennifer, I think they'll really like this DVD! It was really funny! OMG, my littlest would love this. She's on a Star Wars kick. Thanks to Angry Birds. LOL. 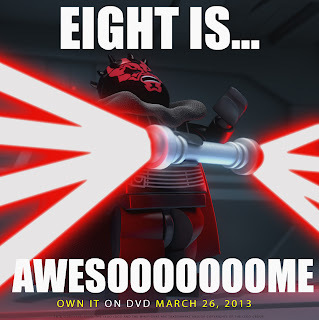 I didn't realize they made Star Wars Lego movies - had just heard of the video games. Cool - looks fun! Those are awesome posters!. I think I'm going to go out and look for this DVD for my husband tomorrow. It would make an awesome stocking stuffer. He's such a kid! The entire family loves Star Wars, especially Darth Vader. I on the other hand.. don't really care for it much. we love star wars here! Holding Offers: House Wars in Toronto! The Croods Family Movie Review! Stonz Makes Kid's Rain Boots Now! Toopy & Binoo One Day PRESALE CODE!